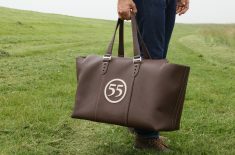 Gentlemans’ indispensable accessory that will accompany you during your business trips as well as during your private outings. 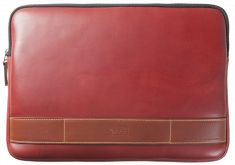 Designed in grained calfskin from Italy, this card holder is available in black with red stitching and brown with natural stitching. This smart card holder slips easily into a pocket. 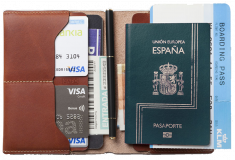 It can carry credit cards, transport tickets and business cards in its four slots and central pocket. 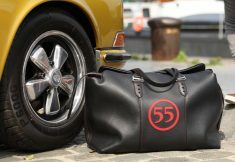 Embossed with the 55 and Raidillon logo.